Read the current Quarter 1 , 2011, commentary by Jeffrey Kreps. 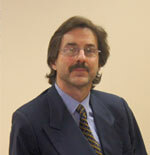 Jeffrey Kreps began his career at Scotia Investment Management Limited in 1989, developing techniques to hedge future gold production. In 1994 Jeffrey moved to Portfolio Management, managing institutional money ranging from $20 million to $1 billion until 2008; consistently outperforming his benchmark with a lower standard deviation of return and attractive sharp ratio. When Jeffrey left Scotia in July 2008, to begin The Optimize Fund LP, he was a Director of Derivatives and Quantitative Research, co-manager of over $5 billion and directly responsible for funds with AUM of over $1 billion. Under Jeffrey’s management his fund (The Scotia Canadian Growth Fund) was first quartile (Globefund) on a 1, 3, 5 year annualized basis, first quartile (Morningstar) on a 1, 3-year annualized basis, and ranked in 2008 by MoneySense as one of the top 5 Mutual Funds in Canada on a return, consistency and risk basis. Jeffrey’s lengthy experience as a portfolio manager and extensive work in derivatives sets up the foundation for the Optimize Fund LP, which is a hedged equity hedge fund with key differentiating characteristics.